This is the earliest known photograph of Bethesda church. 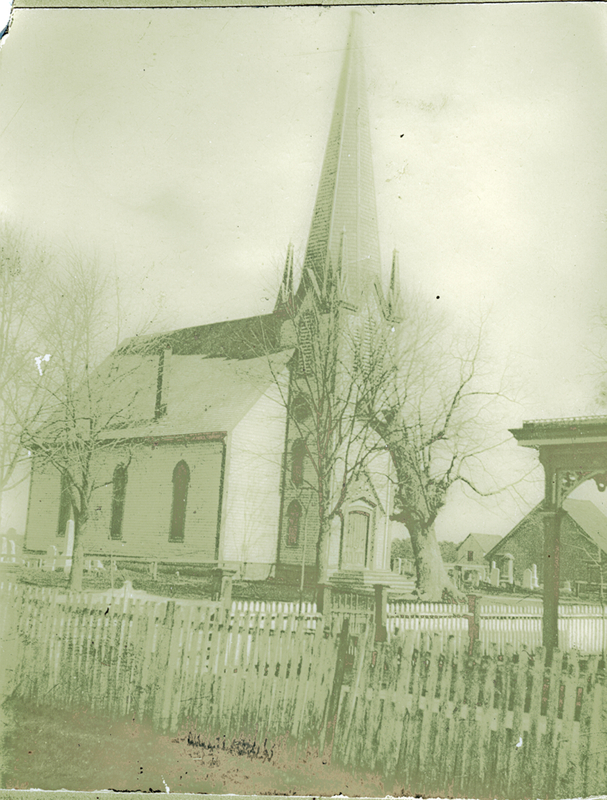 It was taken in 1898, almost twenty-five years after the church was built. According to a note on the back of this picture, the tree standing in front of the church fell an hour after the photo was taken. This photograph shows Bethesda church just a few years after its 1903 renovation, during which the 1875 structure was moved fifty feet forward onto Main Street, and the Sunday school wing (now chapel) in the foreground, and a new bell tower, were constructed. Also, Bethesda’s famous stained glass windows were installed at this time. 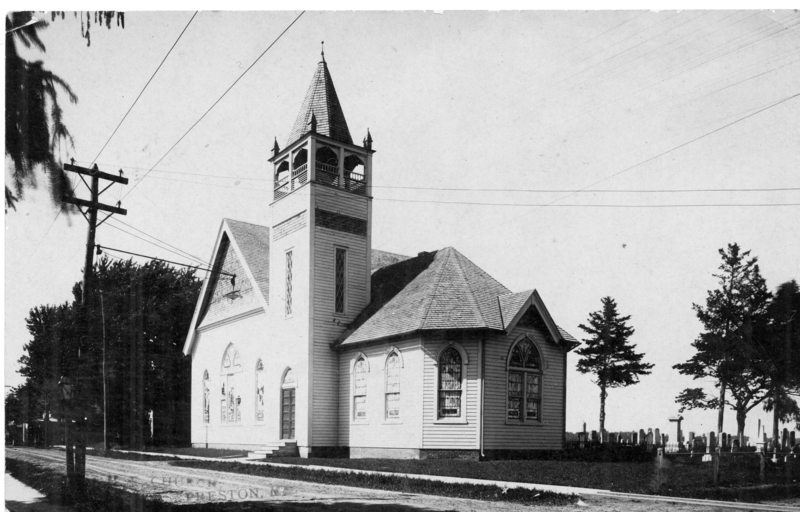 Around the time of this photo, the church was also equipped with electricity and steam heating.